Elite Iraqi security units say they have expelled Islamic State militants from the provincial government headquarters, as well as from the whole key government complex in Mosul. Thousands of civilians are expected to leave the city in the coming days. The Monday night raid was conducted by Iraq’s elite Rapid Response Division, which encircled the Nineveh Governorate building by the cover of night and forced their way into the premises, flushing out remaining jihadists. The Iraqi servicemen also cleared out nearby buildings that are part of the complex, and the central bank’s main branch. 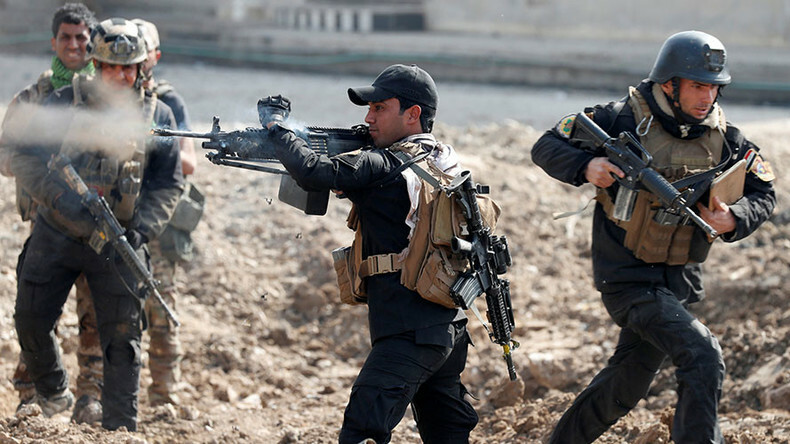 Scores of militants have been killed in the course of the operation, Iraqi Army spokesman Lieutenant Colonel Abdel Amir al-Mohammadawi said, as cited by Reuters. “They killed tens from Daesh [Islamic State],” al-Mohammadawi said. — Iraqi Day 🇮🇶 (@iraqi_day) 6 марта 2017 г. Besides having a symbolic role, the latest gains will allow the Iraqi Army to proceed towards Mosul’s old city center, and to continue driving out militants from the central and western parts of the embattled city. Prior to regaining control over the governorate building, Iraqi forces captured the Mosul Museum – which had been vandalized and looted by the militants – and the local police department and court buildings. — Haidar Sumeri (@IraqiSecurity) 6 марта 2017 г. 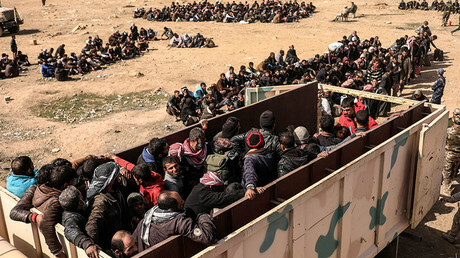 As the offensive of the Iraqi Army, backed by the US-led international coalition, is gaining momentum, the humanitarian situation in what was once the second-largest Iraqi city continues to deteriorate, with more and more refugees attempting to flee their houses – used by militants as hideouts. With the number of refugees continuing to grow, the city is on the brink of a humanitarian catastrophe, humanitarian organizations warn. According to UN estimates, on top of the roughly 200,000 people – mostly women and children – who have fled since the launch of the offensive in October, around 250,000 may leave Mosul in the coming weeks. “We pretty much get very strong testimonies. There are about 110,000 children that are living in camps since October 17, the start of the Mosul attack. And recently, in the past two weeks more than 50,000 people that have fled the combats from West Mosul going south and that is about 27,000 children… We have a planned figure of 250,000 people – 150,000 of which are children – fleeing the combat [zone]; that’s one-third of the estimated population in West Mosul,” Bastien Vigneau, UNICEF’s chief of field operations, told RT. Meanwhile, despite growing concerns over the fate of the remaining civilians, the Iraqi government has not opened a humanitarian corridor to accompany its advance into western Mosul. “In the middle of fighting there are many casualties. We keep repeating and reminding the parties to the conflict of their duty under the international humanitarian law to spare civilians. To spare the medical mission to allow free passage for those who want to flee, to allow those passage to the wounded and sick,” Iolanda Jaquemet, a spokeswoman for the International Committee of the Red Cross, told RT. Civilians trapped in the western part of the city suffer from a lack of food, water, medicine, and other necessities, as Mosul remains under siege. However, in order to escape to the overcrowded refugee camps, civilians risk being caught and killed by militants, for whom they serve as human shields. People staying in Hasan Sham, a refugee camp 25km east of Mosul, told RT’s Murad Gazdiev about their hardships and the hurdles they had to overcome to survive. “ISIS has started breaking peoples’ legs – men’s, women’s – to stop them from fleeing from the city,” a man, who had managed to escape Mosul, told Gazdiev. The survivors told RT that their lives are at risk, not only from the savagery of the militants, but also from coalition airstrikes, which frequently hit areas where both civilians and jihadists are present. Jihadists intentionally hole up in civilian houses for several days to lure in coalition jets. As civilians return home, the jets strike the target, inflicting mass casualties.